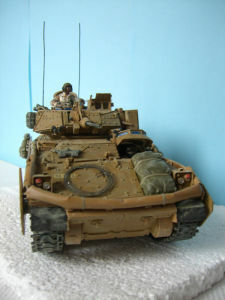 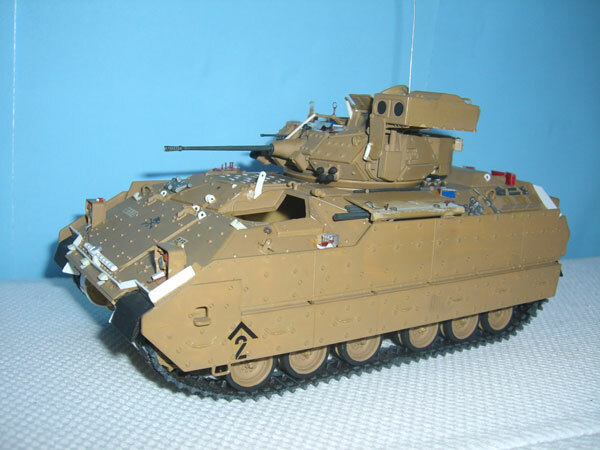 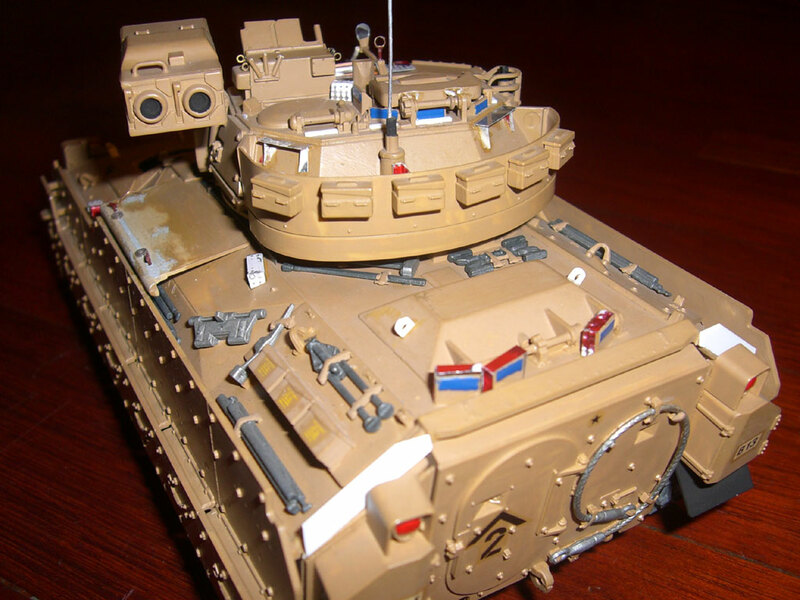 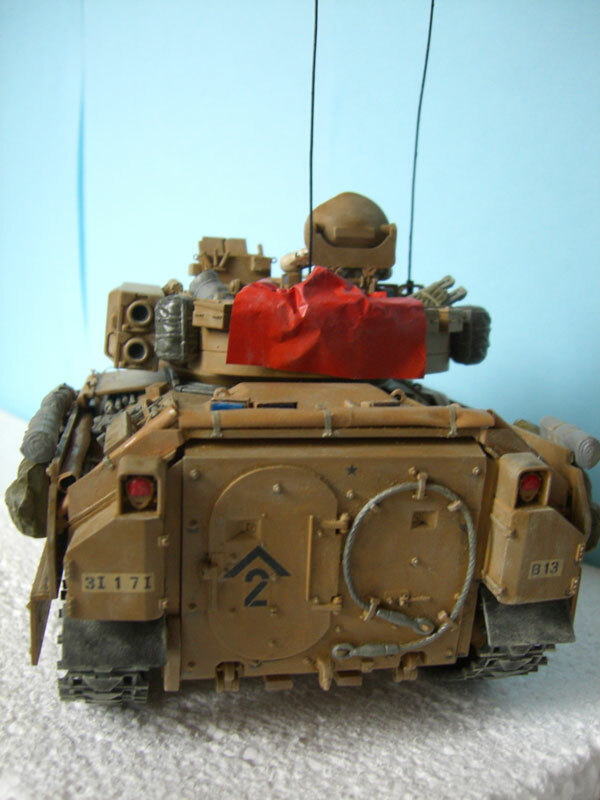 This M2A2 Bradley was built “out of the box” many years ago. 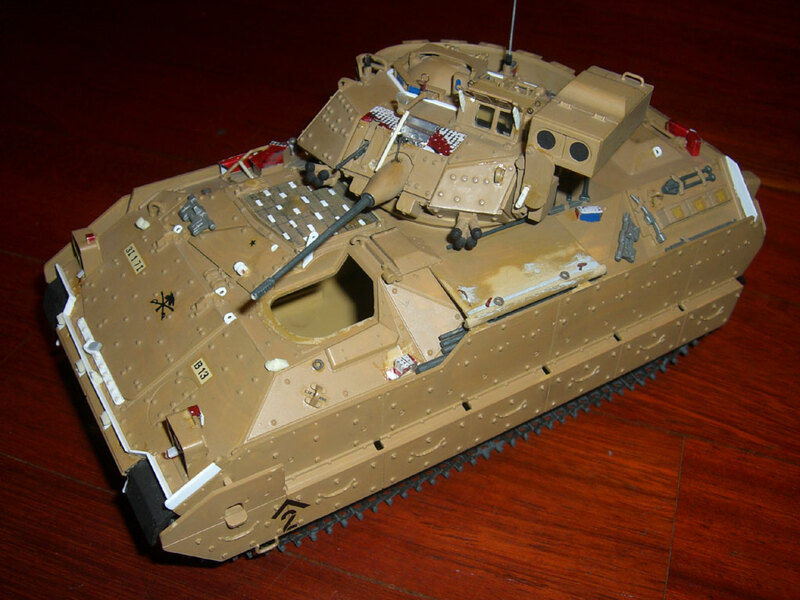 It was one of my first military models. 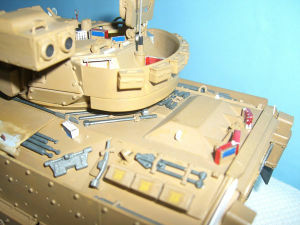 In 2007 I then put the model on the workbench again to correct some mistakes present in the Tamiya kit and to add missing details. It was a tough job about scratch building many new parts, but the result was worth it. 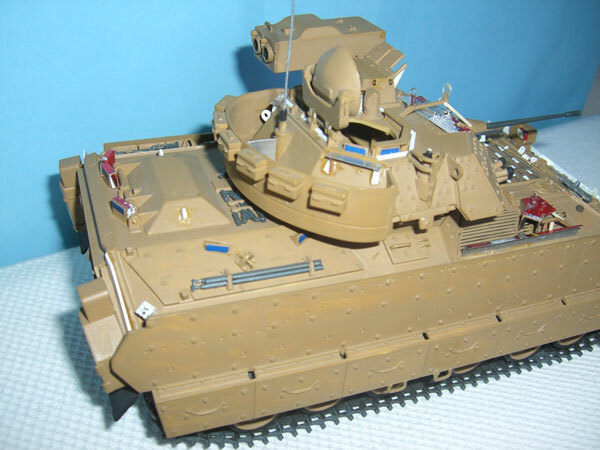 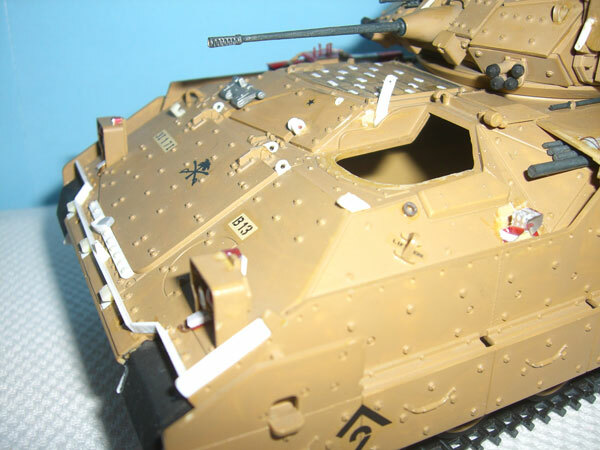 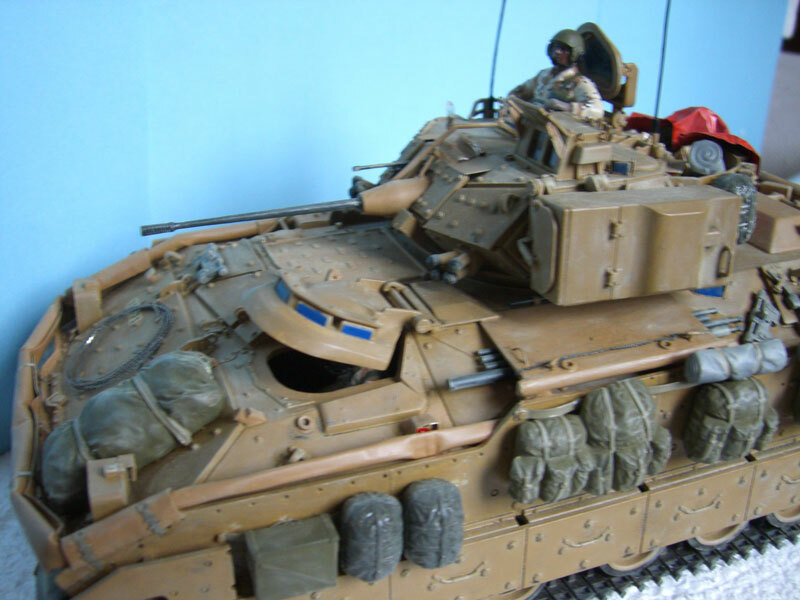 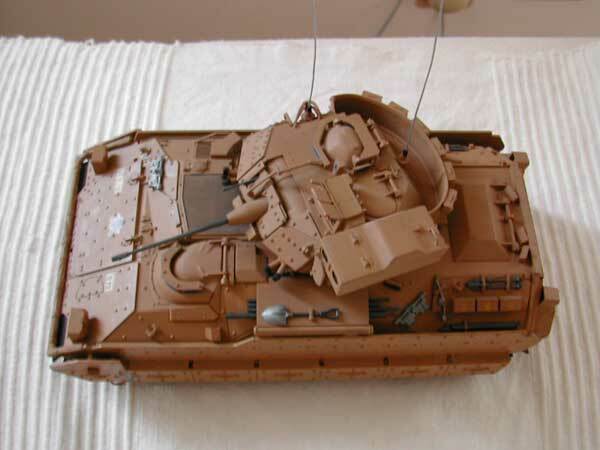 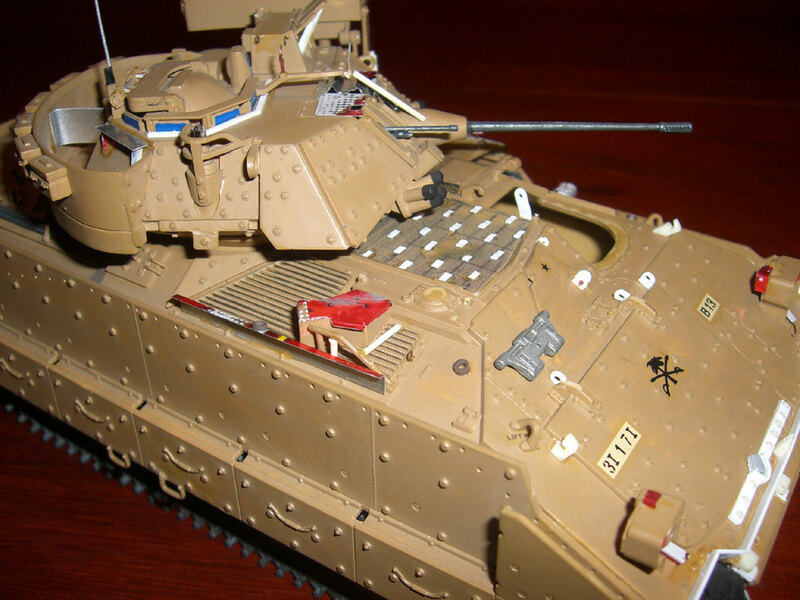 • “Decorate a Gulf War hero with accurate details” from the January 2001 issue of FineScale Modeler. 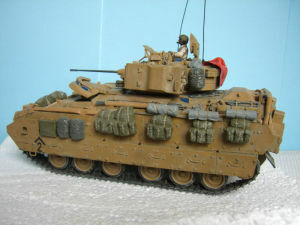 Timeframe for my M2A2 Bradley is ODS (Operazione Desert Storm). 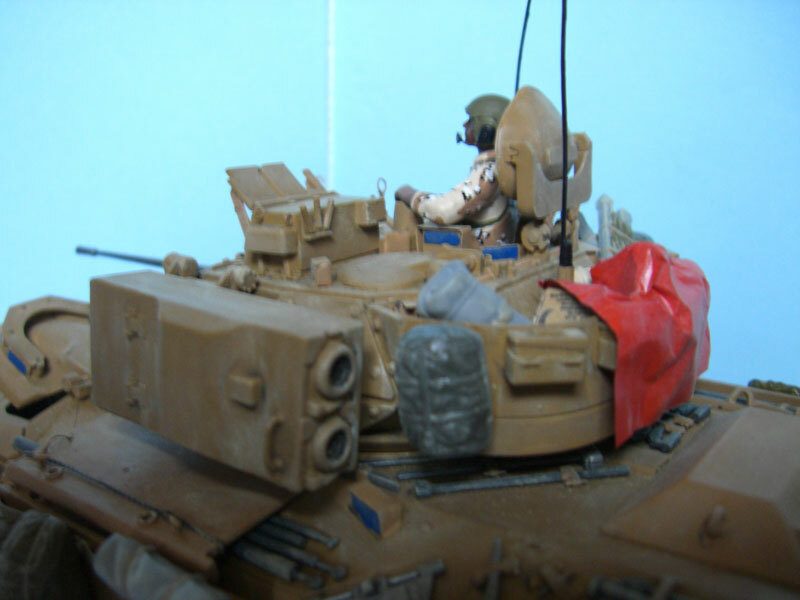 The two tank crew figures are from Dragon “US Tank Crew” (p/n 3020), accessories are from Tamiya “Modern US Military Equipment Set” and razor wire is by Eduard (p/n 35369). Here below some pictures taken during the construction phase. 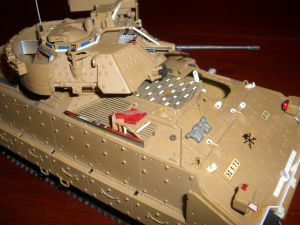 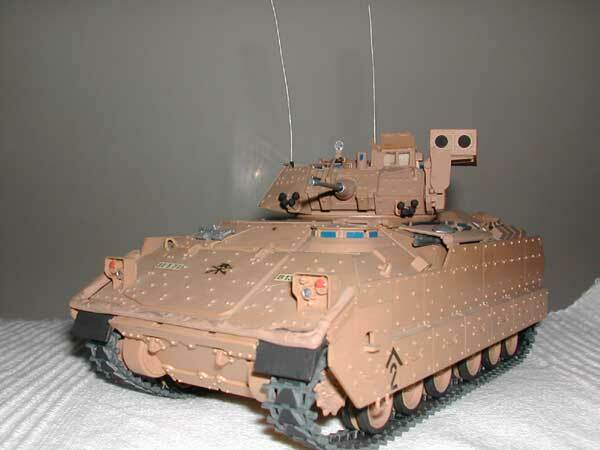 Below are some pictures of my M2A2 Bradley as it was initially built.